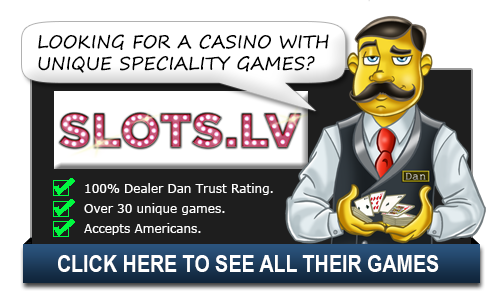 Samba Bingo - Play Online - Casino Answers! Samba Bingo draws its name from the legendary Brazilian art of dance and martial arts. It emulates the upbeat rhythm and mood of Samba through its music and fast gameplay. Samba Bingo uses up to four cards with each card coming with three rows of five numbers, totaling to 15 game cells per card. In addition it incorporates sixty balls, and the player can draw up to forty balls to use on their cards. There are 14 different ways to hit a bingo. In Samba Bingo, every pattern has its own payout multiplier, with the total winnings being the product of pattern multiplier and the size of the bet. The multiplier ranges between 3X and 1500X. The game also incorporates a jackpot which is won when you fill all 15 game cells on your card from the original 30-ball draw. The jackpot pays up to 20,000 times the original bet, making for some very attractive payouts. The player begins the game by keying in their preferred wager amount. Wagers range from a low of 0.10 credits for every card and a maximum of five credits per card. To begin play, the player must click the “play” button upon which a whistle sound rings out and Samba music starts to play. At the same time, thirty balls roll down along the sides from the top, settling into the viewing area. If the card number is the same as that of the ball, the figure is crossed out. Each card is marked with a unique serial number. The size of the current bet as well as the total payoff for the player are displayed at the bottom of the table. Bingo in general is loved because there are very few rules, and new comers can just plunge in and start winning immediately. Samba Bingo makes this process even more enjoyable with their beautiful neatly laid out playing panel. The game control buttons and tabs are nicely distributed on the upper and lower strips of the game screen. The lower side of the screen contains game monitoring toggles and game information while the upper right side there are sound control buttons. The entire game layout is accentuated with bright, high contrast areas to increase the aesthetic appeal of the game screen and ease the location of gameplay buttons and implements. All the balls are painted yellow and placed in a long tubular strip, separated from the main play area by a pink panel. The music and sound effects is exceedingly lively, accentuating the entire gameplay mood. The graphics and animations are crystal clear giving it a realistic feel that compares well to the physical game of Bingo. Bingo is not very strategy-based, being rather straightforward but there are some tips that can help to increase your chances of winning. The arrangement of numbers and game cards should be noted before the game starts using the “Change Card” button. Since the game is very fast there is not a lot of time to think so you should look to practice quick moves, which gets easier the more you play. What is Samba Bingo? How to play Samba Bingo?